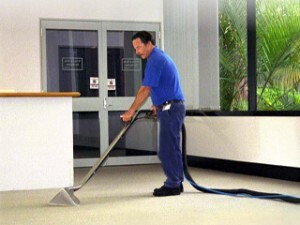 Only the best machines and natural cleaners are used for our Brisbane wide carpet cleaning services. Prior to use, all cleaning equipment and cleaning products have been inspected and tested to ensure absolute safety for residents of the home. Once the professional carpet cleaning process is completed we will treat your carpets to a free deodorising, you will be pleasantly surprised by the absence of sticky residues which can be left by detergents or soaps because we don’t use these. The appearance of your carpets will stay fresh and clean longer, so why contact anyone else? Chemicals are unsafe and can cause any number of health issues and only cover up the smell, not the cause of it. With Soft Touch Carpet Cleaning, the cause is removed and therefore, the offensive smell and our cleaning products are biodegradable and self-neutralising. Each of these will be carried out with the right knowledge and equipment so you are assured of no damage to your property. Soft Touch will get the job done right, everytime with their high quality equipment that will gently remove stubborn stains and ingrained dirt you thought would never come out. If you don’t just want any carpet cleaner looking after your investment, you need to get in touch with Soft Touch in Brisbane on 1 300 669 130.